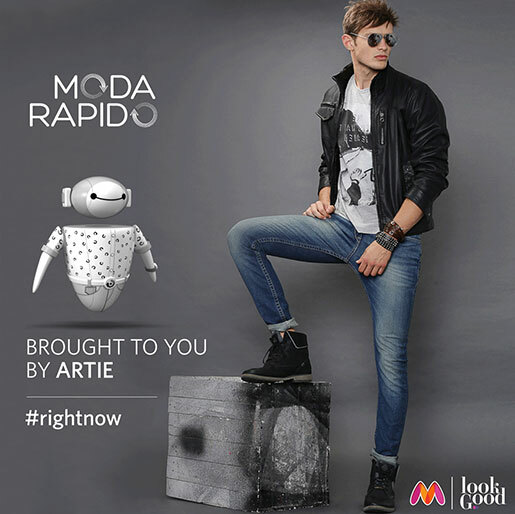 Myntra, the online fashion store owned by Flipkart has launched a separate fashion brand Moda Rapido powered by artificial intelligence. The brand will have a robot called Artie which would help people to discover products according to the fashion trends and their particular tastes in style. People can discover latest fashions styles and trends which consumers all over the world are looking for with the help of the software and Myntra would help to meet those particular demands with its supply-chain. We will bring new products every week. 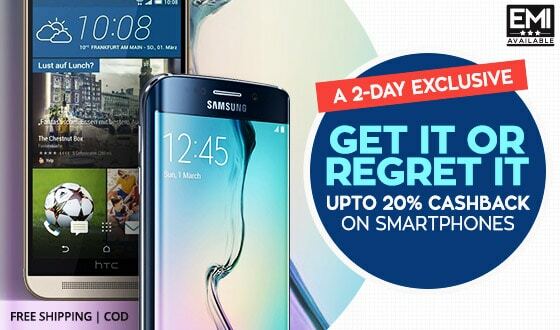 We will react to everything that is selling well, go back and make it, and bring it for our customers in 20 days, said Gautam Kotamraju, senior vice president for new initiatives at Myntra. Currently, the feature is limited to items such as jeans and t-shirts for men and women and soon it will include other clothing items as well. The company plans to eventually share these data and insights with their suppliers from 2016 so that they can come up with items according to the demand of people. It took eight months for a 20 member tech team at Bengaluru facility of Myntra to build this brand powered by artificial intelligence. Our artificial intelligence tells us what material we have on one side and what people are liking on the other side and therefore it puts across a basic skeletal framework together for the in-house designers, who would then tweak the designs according to the demand,explained Kotamraju. Myntra is one of the many ecommerce companies who are constantly innovating on technological front to increase user engagement and enhance user experience on their websites.For instance, the parent company of Myntra, Flipkart recently launched a messaging platform called Ping which helps customers to make a buying decision by consulting friends or family in real time. Blue and green printed kurta, has a round neck, three-quarter sleeves, side slits. The model (height 5’8″) is wearing a size S Make a statement with this elegant kurta from Moda Rapido. Look chic for the day with this blue kurta and leggings. Hand-wash.
Paisawapas.com as top cash back & Coupons website, ensures you get the best price & deal on Moda Rapido Women Blue & Green Printed Kurta by Moda Rapido in India. How do we ensure the cheapest price of Moda Rapido Women Blue & Green Printed Kurta? Grab the deal on Moda Rapido Women Blue & Green Printed Kurta by Moda Rapido via PaisaWapas.com at Myntra. Grey printed A-line kurta, has a mandarin collar, a full button placket, three-quarter sleeves, straight hem 90% cotton, 10% silk. Machine-wash The model (height 5’8″, chest 33” and waist 28”) is wearing a size S Add class to your look with this appealing A-line kurta from Moda Rapido. Pair this chic and traditional look with this grey kurta, simple leggings and minimal jewellery. Paisawapas.com as top cash back & Coupons website, ensures you get the best price & deal on Moda Rapido Women Grey Printed A-Line Kurta by Moda Rapido in India. How do we ensure the cheapest price of Moda Rapido Women Grey Printed A-Line Kurta? Grab the deal on Moda Rapido Women Grey Printed A-Line Kurta by Moda Rapido via PaisaWapas.com at Myntra. Orange embroidered kurta, has a mandarin collar, a short button placket, three-quarter length sleeves, a zari taping along the hem, side slits. 100% rayon. Hand-wash cold The model (height 5’8″, chest 33″ and waist 28″) is wearing a size S Flaunt your feminine side in this kurta from Moda Rapido. Wear it with a pair of palazzo trousers, heels or flats and statement earrings for a chic look. Paisawapas.com as top cash back & Coupons website, ensures you get the best price & deal on Moda Rapido Grey Printed Kurta by Moda Rapido in India. How do we ensure the cheapest price of Moda Rapido Grey Printed Kurta?, well when you shop at Jabong via Paisawapas.com we get paid commission for the sale you generate & we pass that commission to you as Cashback. You can earn upto ₹58 Cashback on Moda Rapido Grey Printed Kurta by Moda Rapidofrom PaisaWapas.com at Jabong. Maroon T-shirt, has a round neck, short sleeves, a patch pocket,100% cotton, Machine-wash cold. The model (height 6′ and shoulders 18″) is wearing a size M. Step up your style quotient with this T-shirt from Moda Rapido. Team it with your favourite pair of jeans, a jacket and boat shoes or boots when you head out on the weekend. Paisawapas.com as top cash back & Coupons website, ensures you get the best price & deal on Moda Rapido Maroon T-shirt by Moda Rapido in India. 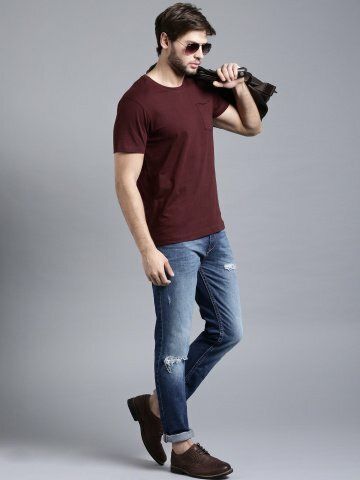 How do we ensure the cheapest price of Moda Rapido Maroon T-shirt?, well when you shop at Myntra via Paisawapas.com we get paid commission for the sale you generate & we pass that commission to you as Cashback. Grab the deal on Moda Rapido Maroon T-shirt by Moda Rapido via PaisaWapas.com at Myntra. Unlock the secret of ultimate comfort when you wear this grey coloured kurta by Moda Rapido. The kurta is made from cotton, which ensures complete comfort and breathability to the wearer. The dupatta and salwar will further accentuate your ethnic look. Myntra’s brand ‘Moda Rapido’ is a fast fashion brand that’s powered by Artificial Intelligence. It works without human intervention and offers computer generated T-shirts, jeans, kurtas and shoes. Designers have no role at all. Earlier the AI technology would figure out certain attributes like a placket with a contrast that was selling well or a Chinese collar that was very popular or a particular type of cuff design that worked well. Designers would then take those attributes and design a shirt but now human intervention is zero. The computer is fed with data from the entire digital space, including fashion portals, social media and Myntra’s own customer data, which the computer scans to zero in on what customers are looking for. Using computer vision and Artificial Intelligence on the scanned data, the platform creates thousands of permutations and combinations and zooms in on what would sell best. Moda Rapido has now grown to become a Rs 50 crores brand in 18 months. It has the fastest sell throughs and is notching up the highest gross margins compared to any other brand on Myntra. Myntra has 14 in-house brands, including Roadster, DressBerry, Yellow Kite, Kook N Keech, Invictus etc.